Diablo Immortal and the rumored Pokemon Go-style Warcraft game were not Blizzard’s first attempts at taking their biggest series to mobile platforms. Variety reports that the studio — back when it was split into Blizzard North and South — was briefly working on a Pokemon-style Diablo game for Nintendo’s Game Boy. The game, which was in development just after Diablo 2 wrapped up at Blizzard North, was going to try to capture the same young audience that the original Pokemon games did. Called Diablo Junior, it would use a top-down perspective and let you find, collect, or trade monsters. The tiny team on the project also considered separate releases for each player class, like a Knight and Mage version — just like Pokemon Red and Blue. When Blizzard South merged with Blizzard North in 2005, the project was cancelled. “They probably looked at the Game Boy and said ‘It’s not connected to the internet, how are we going to make money off of that? 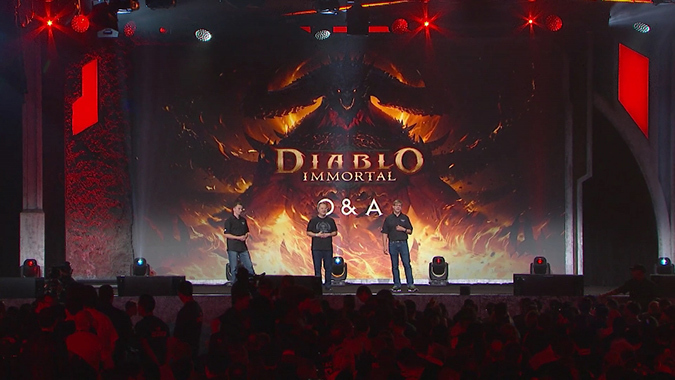 '” Matthew Householder, a producer at Blizzard North said of the Blizzard South and Vivendi response to Diablo Junior. Diablo Junior was never released publicly, even though a different Game Boy prototype was leaked several years ago. That prototype was completely unrelated to the official thing, and might have been simply a fan project. With Diablo Immortal on the horizon and a rumored shift in Blizzard’s development philosophy due to massive shake-ups in the company, it’s interesting to see that it considered making more non-PC games before. This story also shows how exhausting and time-consuming big projects like main entries into the Diablo series can be. Sometimes developers want to work on something small and lighter in tone. That reality makes me want to give them the benefit of the doubt when it comes to the new Diablo game. I’m ready to see something completely new.